This fabulous two night stay oozes luxury. 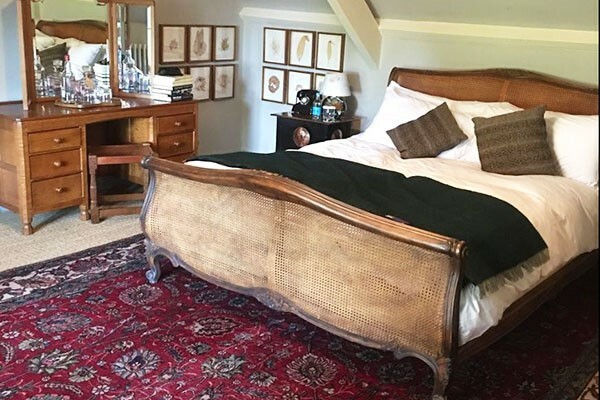 Situated in 14 acres of mature grounds, wooded areas and formal lawns and boasting breathtaking views across the Box Valley, Rudloe Arms is a haven of tranquillity, perfect for a two night escape for two. You will stay in a lovely double room in the Treetops building, consisting of an en suite, modern furniture and a wonderful Juliette balcony. After you’ve settled in with a welcome glass of fizz, luxuriate in a six course dinner in Marco Pierre White’s restaurant and sample a selection of exquisite European dishes. From truffled eggs to game pie for starter and roast fillet of venison and risotto of woodland mushroom for main, this dining experience will set your taste buds alight! Rise to a delicious breakfast each morning chosen from a tempting a la carte menu.